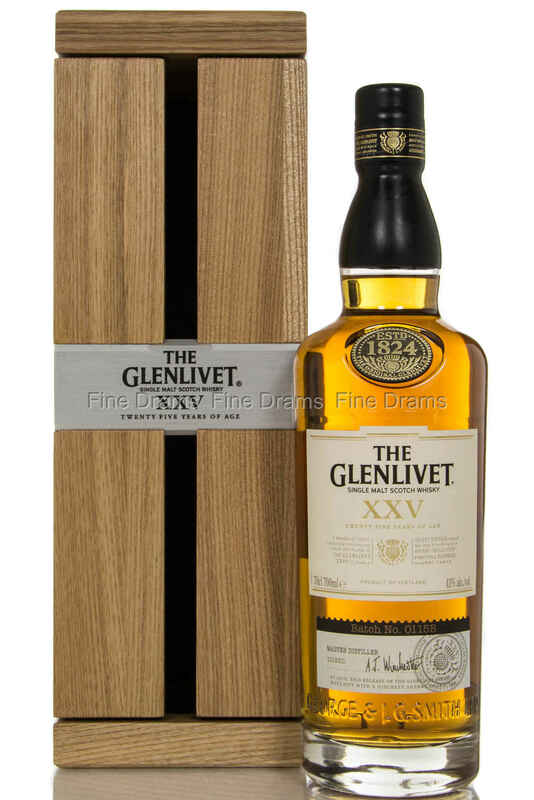 One of the quintessential “old Speysiders”, Glenlivet 25 Year Old (sometimes styled as Glenlivet XXV) is premium malt whisky fully deserving of that title. This whisky is at the very top of Glenlivet’s prestigious “Classic Range”. An outstanding bottling that is finished for additional two years in Oloroso casks, lending the whisky a wonderful dry sherry quality, full of almonds and dried fruits. Like a hot chocolate poured over Christmas cake, this is a truly decadent experience, and one that all whisky drinkers should treat themselves too.